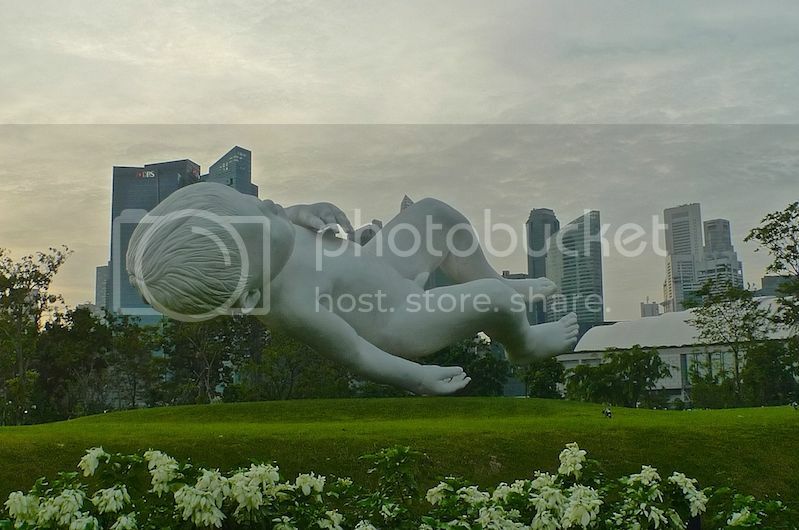 I first visited Gardens By The Bay in Singapore during Christmas Day back in December, 2012. Read about it HERE. A year later on Christmas Eve 2013, I revisited this famous tourist attraction in the island republic. 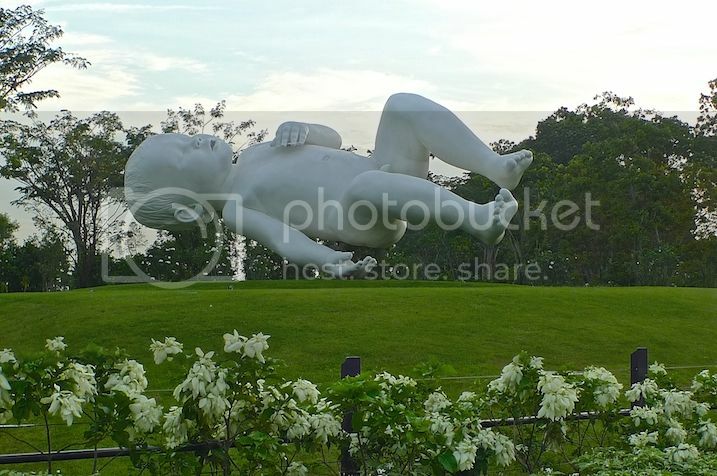 One reason I went to Gardens By The Bay again was because I did not get to see the Floating Baby during my first visit. Of course, there were other reasons but the floating baby was the main reason. When I did find it, it was a little shocking, because the baby was just so .... gigantic! And it seemed to be floating on air, right there in front of my eyes! Almost unbelievable! At 9 metres long and 3 metres tall and weighing about 7 tons, this huge piece of art seems to defy the laws of gravity. However, I'm afraid my photos cannot do justice to the real thing, and besides it was late evening and the lighting was not very conducive for taking pictures with my camera. 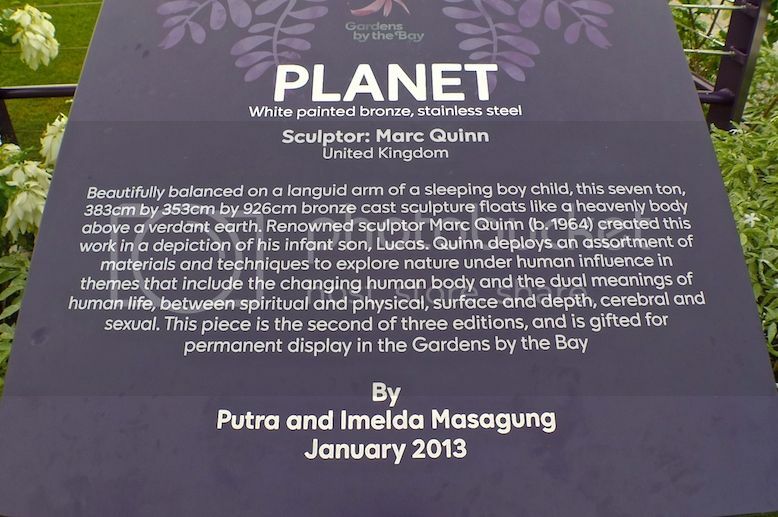 Anyway, this floating baby sculpture is called 'Planet'. 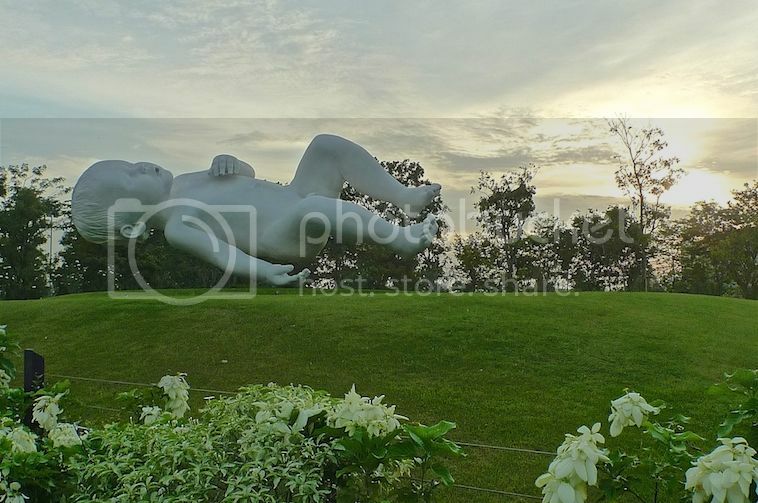 Located at The Meadow, this white painted bronze sculpture is the works of British artist Marc Quinn. You can read about it below. If you look carefully, the baby is not really floating. One hand is resting on the ground although at first sight, you won't notice it. I guess the artist must have masterfully balanced the heavy sculpture on just that one hand alone. Amazing! I took a different angle shot of the baby. 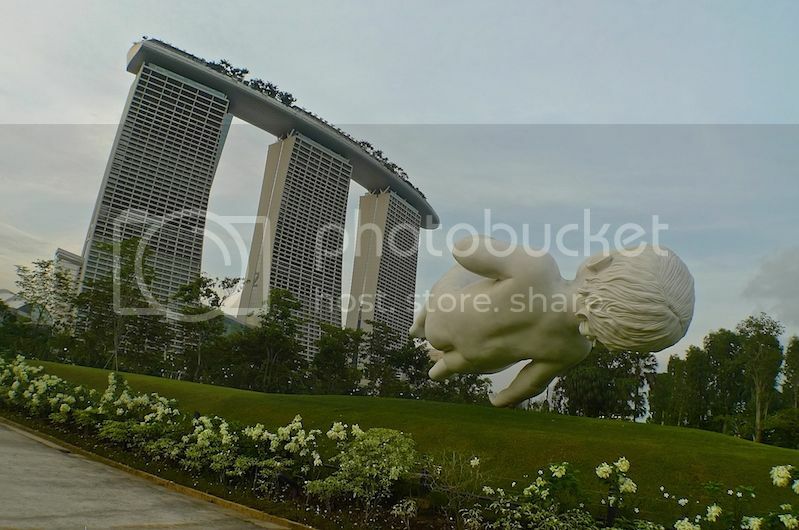 The giant floating baby with Marina Bay Sands in the background. There are many more art sculptures in The Gardens, but this floating baby is the most impressive to me. More about Gardens By The Bay in my next post so stay tuned!